Nilgiri Mountain Railways is a popular attraction among tourists visiting Ooty. In fact it is one of the top attractions, part of UNESCO World Heritage site and is a must try experience when in the region. But buying tickets for a journey in this train can be tricky. 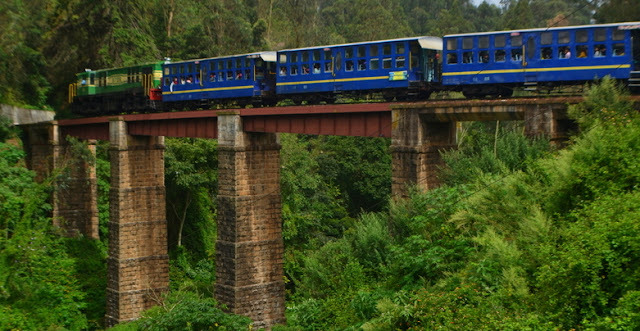 Tickets for the Nilgiri mountain railway can be booked on IRCTC but only for select departures. 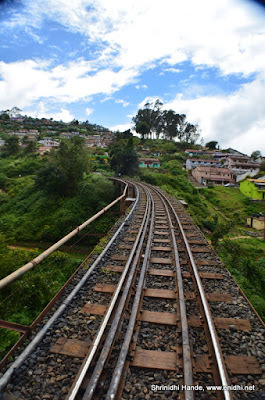 From what I have observed, here are some tips to consider if you are planning to try a journey on the mountain railway, more so if it happens to be a holiday/weekend time. Where possible book online on IRCTC. Easy way, but unless you plan well in advance, online tickets can get sold out within days of opening. If you can't get a ticket online, there is no need to worry. There are many departures not sold online, but only at counters of railway stations. 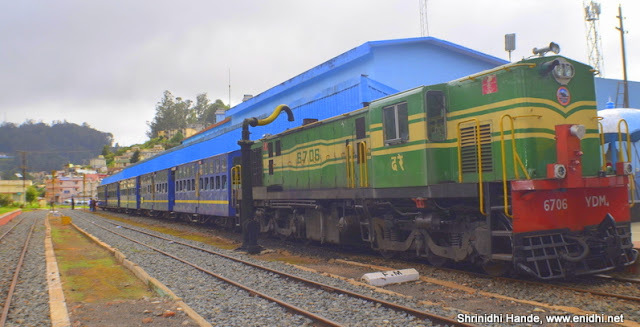 From what I have seen, best bet is to go to Conoor station early morning- like about 7 AM and buy tickets from Coonoor to Ooty. 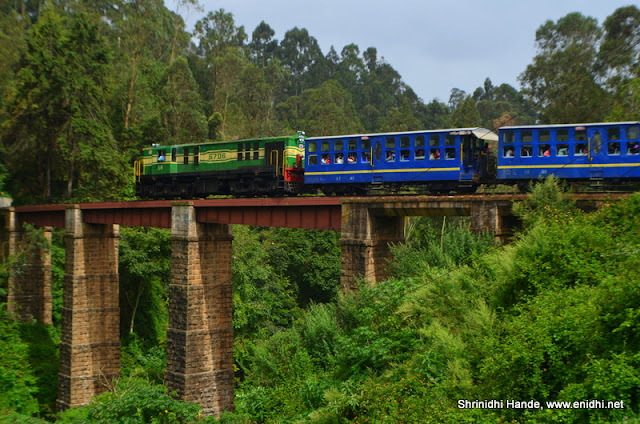 Compared to Ooty Coonoor gets less crowd and higher chance of getting a ticket. I had traveled on this in 2009 and got to experience it again this August. I forgot to book a ride online in time. Tried for Tatkal and failed. 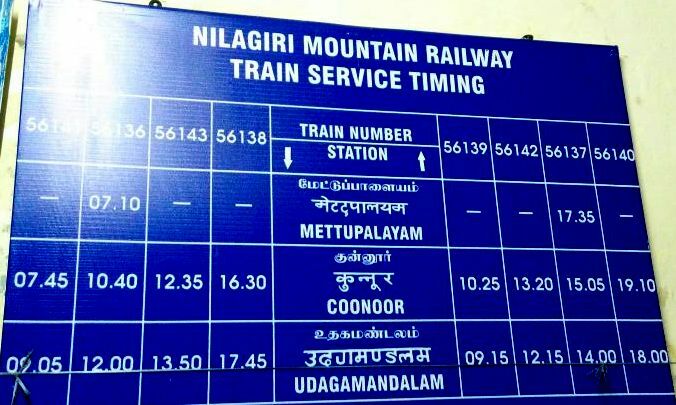 Reached Mettupalyam at around 6.20 AM on the date of journey and we were told that all tickets are sold out. 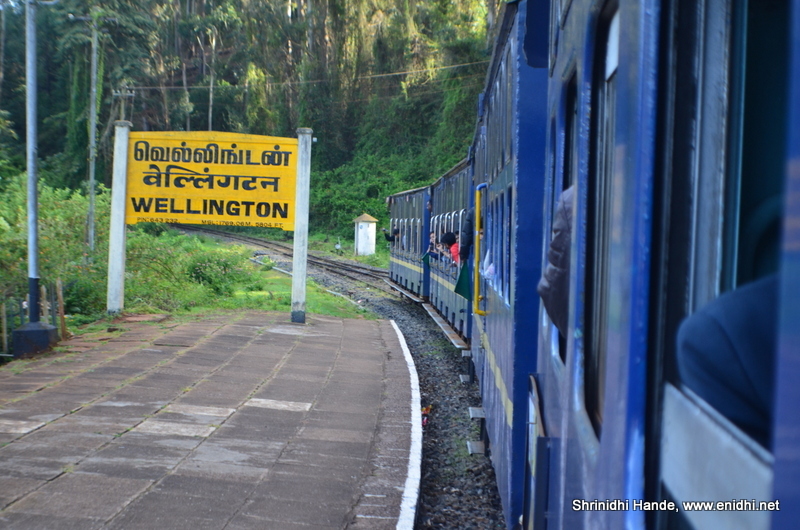 But we were advised that there is another train leaving at 7.40 AM from Coonoor which we can try. 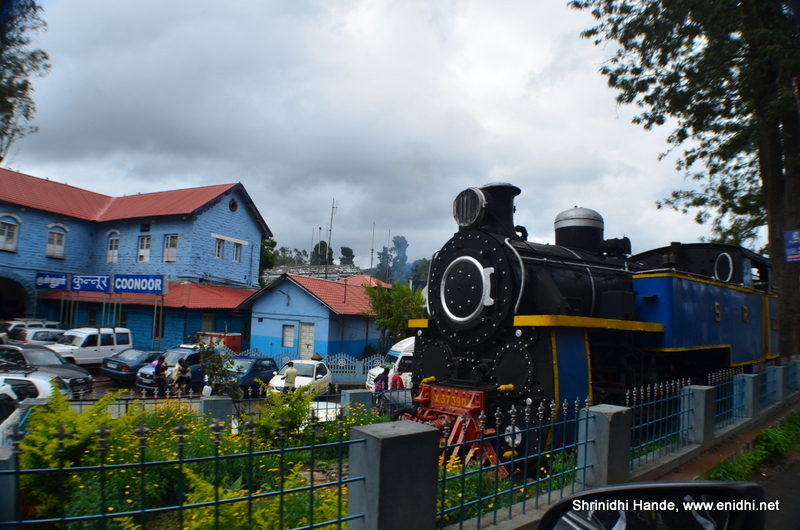 Reached Coonoor station just in time. 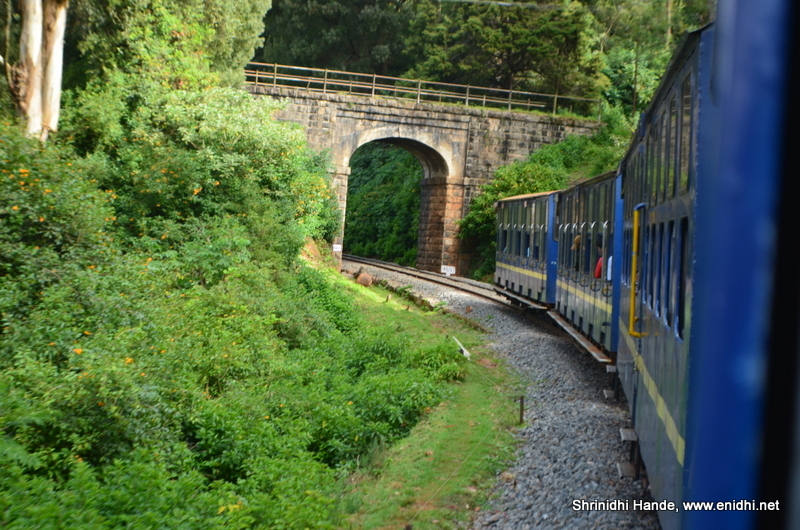 We traveled from Coonoor to Ooty in the train. 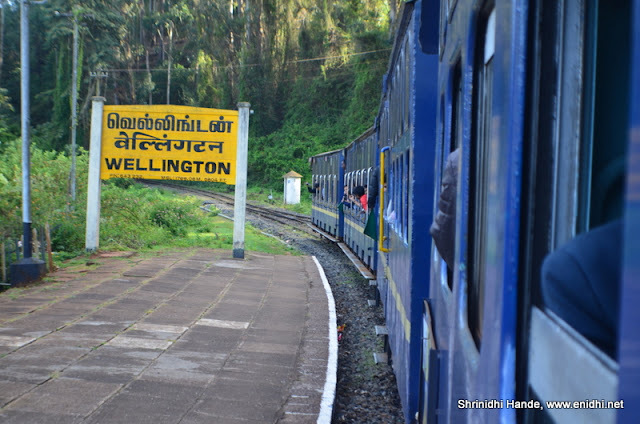 I thought of returning to Coonoor on its return journey, but buying ticket was impossible due large queue. 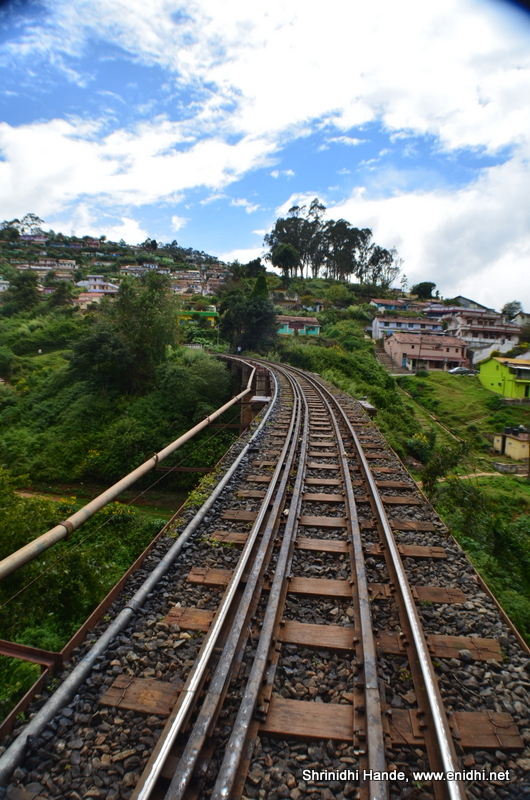 So we came back to Coonoor by bus. 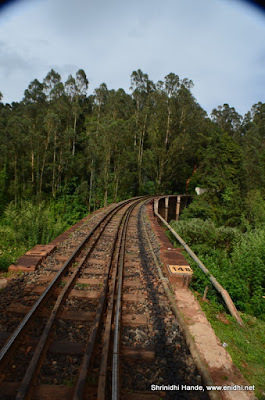 (Ooty city bus stand is walkable from Railway station). Later in the evening managed to position myself in a vantage point near Wellington and click a photo of the train passing the bridge. 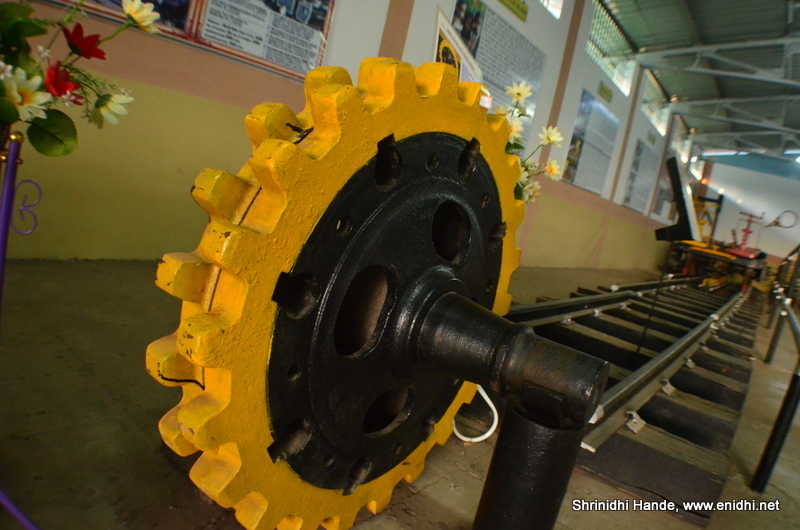 At Mettupalyam there is a museum for the mountain rail- exhibits explain how the train can stick to a steep slope, details of the engines and so on. Entry is free and it is open as early as 6 AM. 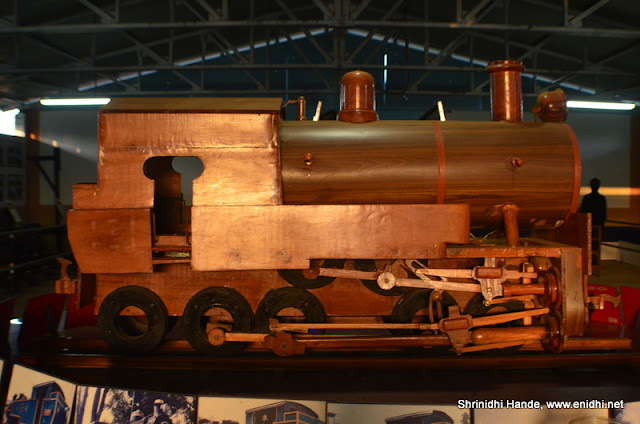 This museum visit is highly recommended for train lovers. So plan well and experience the unique ride in the mountains. Parking space is available in most railway stations. You can park your car and hop on the train. 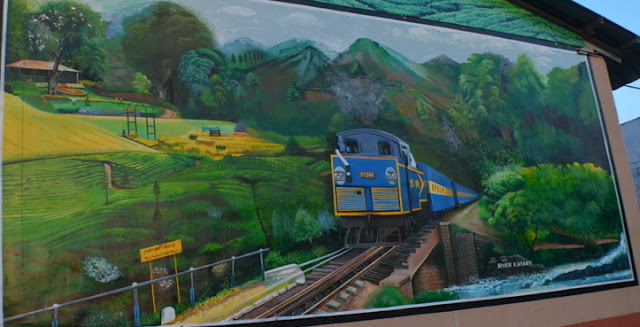 Similar: Niesen Peak, Switzerland * RORO from Konkan Railway * Swiss Mountain Railway- can we replicate in India? Great post, Thanks a lot for sharing. Beautiful pics. Awesome photo sir! captures the whole beauty of the ride perfectly!! Amazing post, would you mind checking mine? 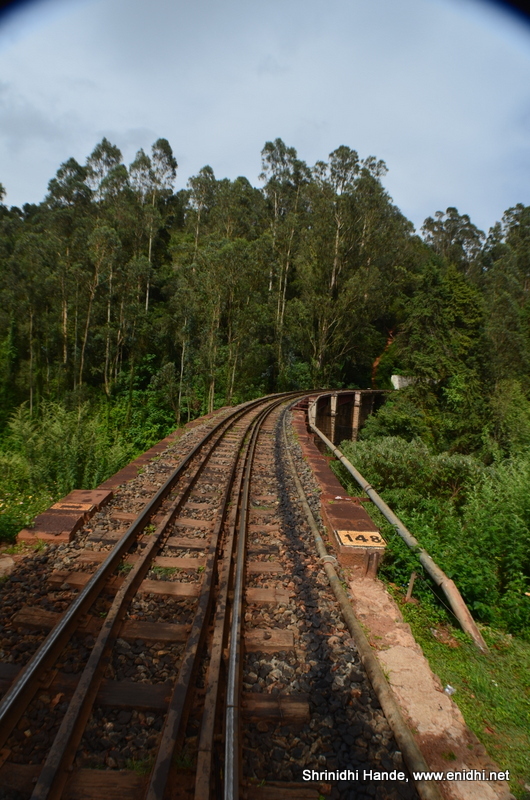 Have a look at places to see in ooty in 3 days hope you will love it.